Many bloggers use Google Friend Connect (GFC) to follow blogs. Google announced that in two (2) weeks, they are doing away with Google Reader. 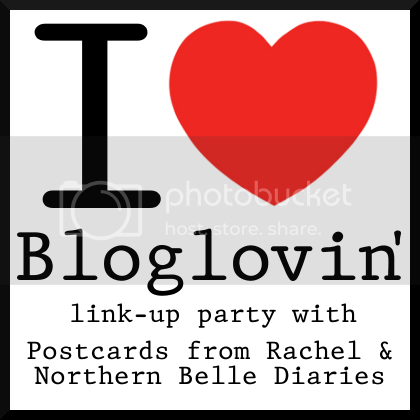 In order to help bloggers transition away from GFC as the main way to follow blogs, La La Lisette and Postcards from Rachel have teamed up to host I Love Bloglovin’. I’ve loved getting to know Brin. She’s hilarious and has a heart of gold. From self-deprecating #meatnecklace jokes, to funny stories of her son, Brin will always make you laugh. Read more about her weight loss story here. She stands up for what’s right, no matter what anyone thinks of her. I love her integrity. Find her on Instagram and Twitter. Okay, I am still trying to understand….I just thought GFC was going away, not Google Reader…I am dying to see how this whole thing plays out in a few weeks. Google Reader is supposedly what Google is retiring. No one knows for sure what’s happening. But when you are in your Blogger account and see the feed of blogs below your blog(s), those are essentially delivered to you via Google Reader. Also, as a blog designer, I’ve noticed that the GFC Followers gadget was moved to the “Other” category of gadgets that’s harder to access. The Google+ gadget replaced it on the Most Popular list. Why would they do that? It’s very suspicious and a little ominous. Moving to WordPress meant I lost GFC’s number, not necessarily my readers. All in all, I’m happy with the change and the peace of mind that comes with knowing that Google can’t just up and delete my blog without notice.